/ Modified jun 21, 2017 5:12 p.m.
Three days of recording-tying or record-breaking heat, National Weather Service reports. The highest temperature ever recorded in Tucson was 117 degrees, in 1990. 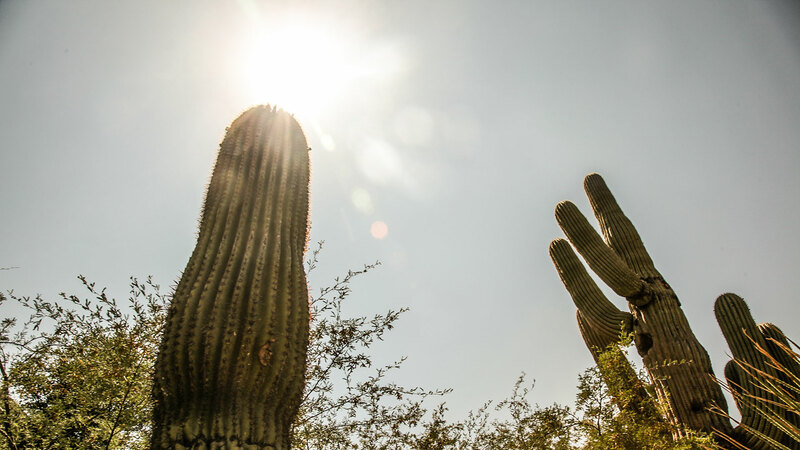 Tucson broke yet another daily heat record Wednesday, marking the longest consecutive stretch of days with temperatures 115 degrees or above on record. The National Weather Station recorded 115 degrees around 3 p.m. on Wednesday at the Tucson International Airport. The previous maximum temperature for June 21 was 112 degrees, set in 1990. In the midst of a projected weeklong heat wave, Wednesday marked the third straight day that the city has either tied or broken the high temperature for a given date. It was also the first time in recorded history that temperatures hit 115 or higher for three consecutive days. An excessive heat warning has been issued through Sunday evening, and the temperatures have some businesses and groups reacting with closures. The Reid Park Zoo said it would close early throughout the week to focus on caring for the animals, and the Tucson Unified School District announced it would be cancelling summer school at some locations that lost power or air conditioning capability. Those calls generally don’t involve a trip in an ambulance, he added, and often consist of fire department personnel administering liquids and helping a person cool down. Brian Francis, senior forecaster at National Weather Service Tucson, said scattered showers would end Wednesday evening, and dry conditions will continue Thursday to Saturday. Starting Sunday, some moisture should return. The excessive heat warning means temperatures will likely be around 110 degrees daily through Sunday, Francis said. Normal seasonal averages are expected to return in the middle of next week.